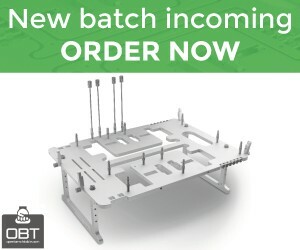 We have been working hard the past few months on the 8th HWBOT revision, dubbed 'classic', in order to launch it early 2019. It is a mix between nostalgia for the early HWBOT revisions, having a seasonal ranking next to the existing career ranking and enabling/disabling points for a lot of benchmarks voted on by the community. As 2019 is coming near, we are currently holding a poll over at the forums to see which benchmarks should still be applicable for points in 2019 and which not. The consensus is less benchmarks should have global points, but which exactly do you want to see removed or added? 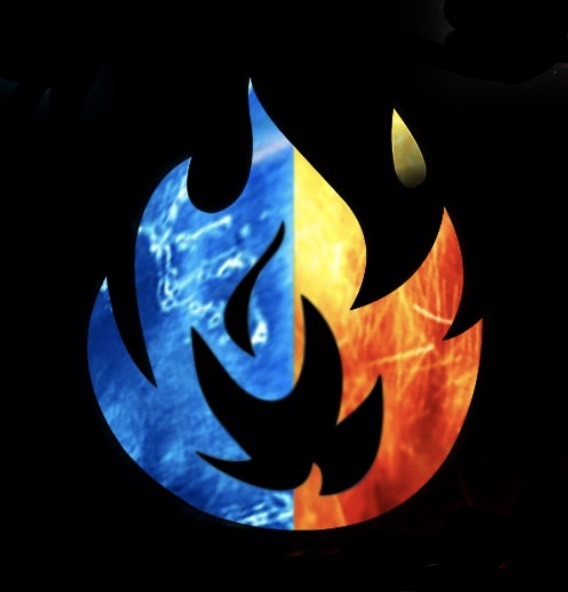 Cast your vote in the forums! 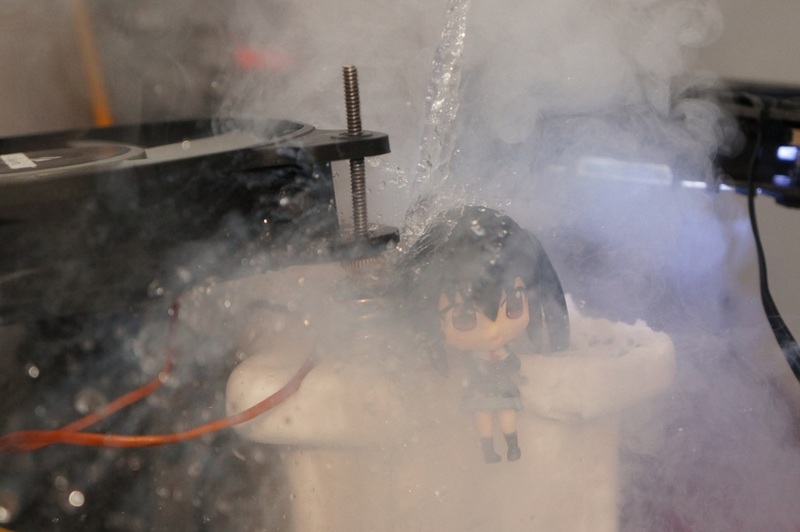 Head over to overclock.net if you want to participate in the annual Freezer’ Burn overclocking competition. 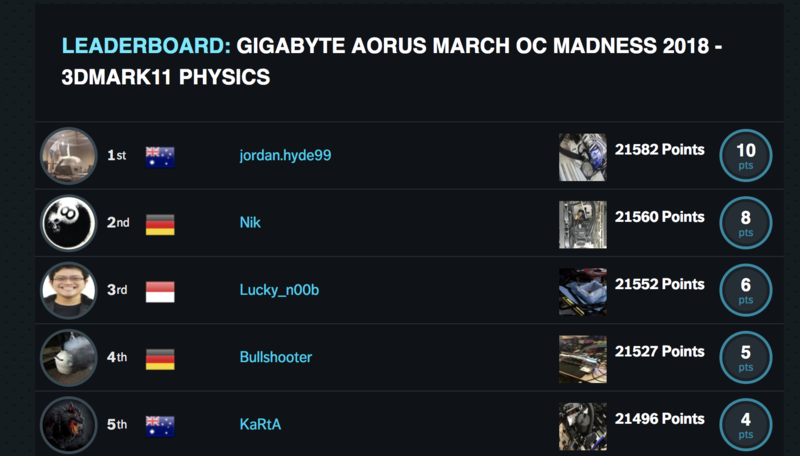 2400$ in prizes, very active community, split ambient and extreme cooling stages, they've got it all! This competition was designed with the goal that everyone can participate and be competitive. 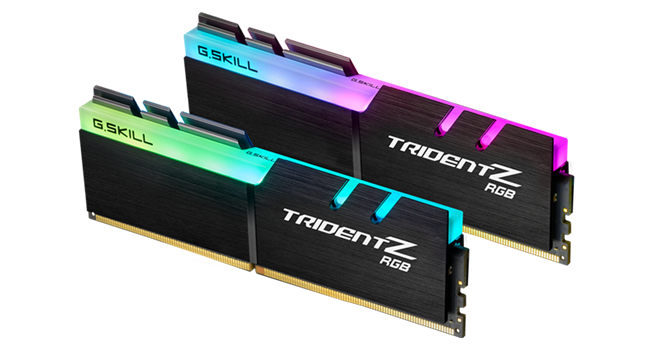 Whether you are an experienced subzero overclocker or just starting and this is all new, you can learn and participate in a fair and even environment. 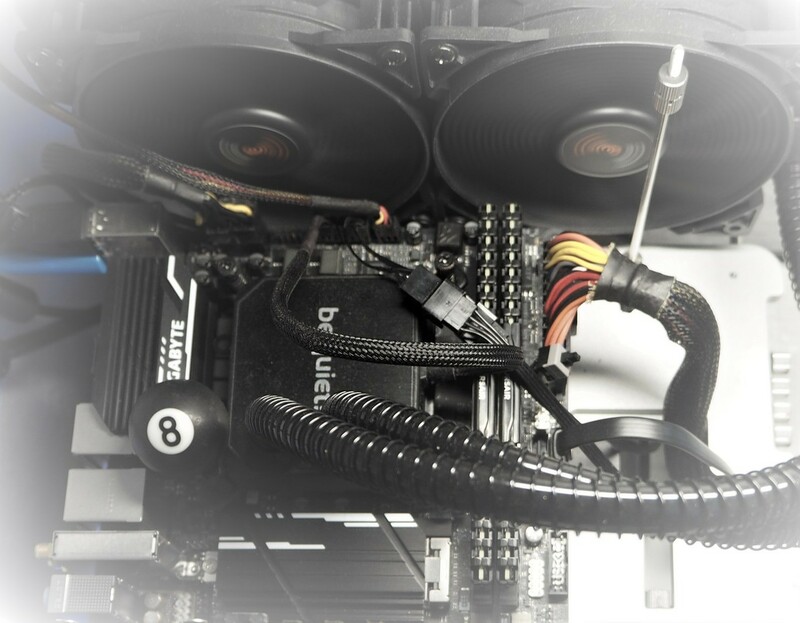 There are separate categories for ambient cooled and extreme cooled computers. You will only be allowed to participate in one category, but you an change categories at any time. We learned alot from the last Freezer’ Burn competition and we decided to make one very fundamental change for this competition. The biggest and most important change is that we will not limit the CPU or core count in this competition. 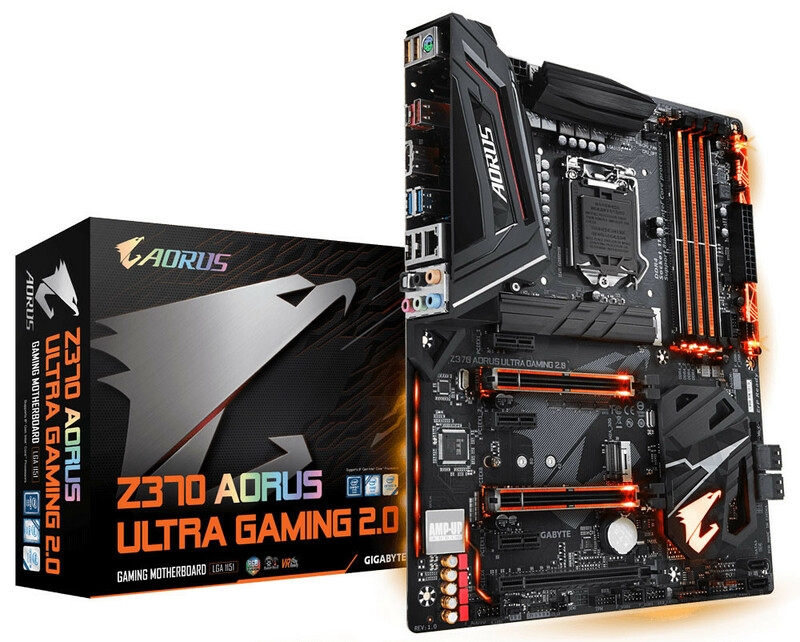 Simply put, we will allow every CPU ever made in this competition. You might be saying to yourself, hey that's not fair since I only have a 4 core CPU and others might have 32 core CPU’s. Well, we have an interesting solution to this problem, which will be described below in the 2D section. To take things a step further, we are only choosing 3D benchmark programs were the CPU does not influence the score. No matter what CPU you have, you can compete in a fair environment! The HWBOT World Tour 2017 landed in Poitiers, France for Gamers Assembly this weekend, hosting overclocking workshops and contests to generally spread the word of overclocking. 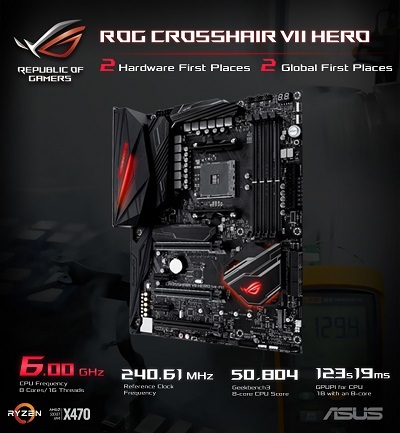 From a competitive overclocking perspective, the highlight of the event is the Overclocking World Championship, a series of extreme overclocking contests that are held at each World Tour location where winners get a seat at a Grand Final at the end of the year. 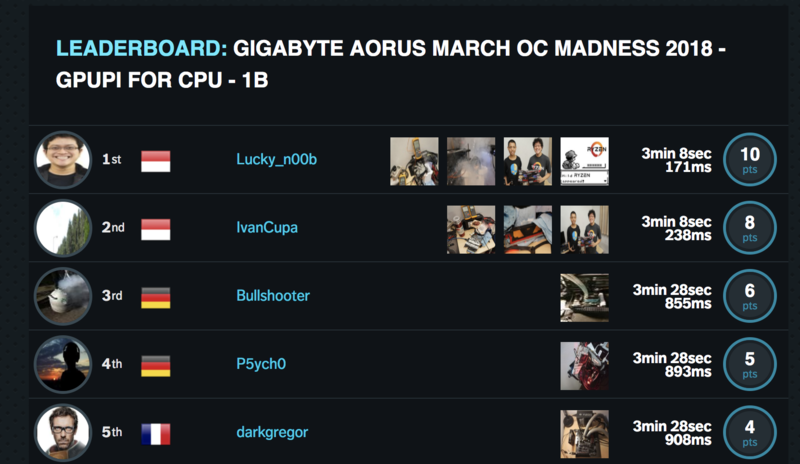 Yesterday we saw the Qualifier Segment of the contest with twenty overclockers pushing their hardware to the limit to score as highly as possible across three benchmarks. Let’s take a peek at yesterday’s action. Stage 1: Super PI 32M - In Stage 1 we find current HWBOT league No.1 Dancop of Germany taking top spot. 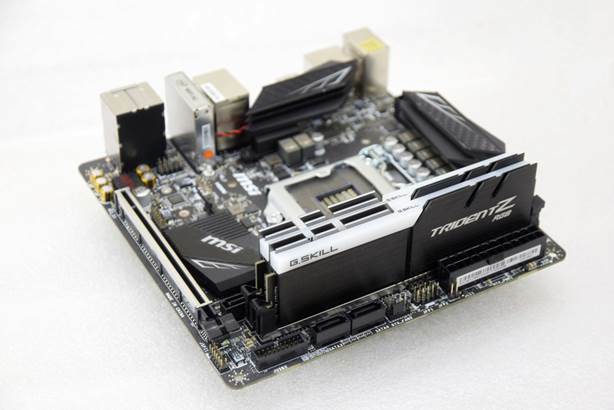 Dancop managed to complete a Super Pi 32M run in just 4min 38sec 922ms, a score made by pushing his Core i7 7700K to 6,798MHz (+61.87%) with system memory configured to 1,800.5MHz (12-17-17-28)(note: all overclockers were given two CPUs which were drawn at random). In second place we have French No.1 Wizerty with a score of 4min 49sec 218ms while orion24 arrived in third place with 4min 54sec 195ms. All the scores from Stage 1 can be found here. Stage 2: Cinebench R15 - Stage 2 is all about benching Cinebench R15, an area where Niuulh certainly shines, taking the win with a score of 1,461 cb points. This was done with a Core i7 7700K clocked to 6,595.18MHz (+57%) with DDR4 configured at 1,800.1MHz (13-18-18-28). Second place goes to Wizerty with a score of 1,458 cb points while another French Extreme overclocker Mylth arrives in third place with 1,445 cb points. 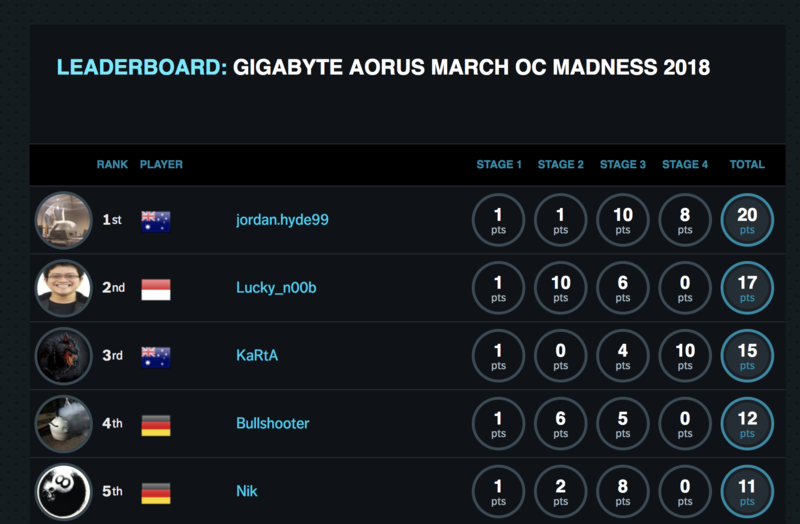 You can find all the Stage 2 scores here. Stage 3: 3DMark11 Physics - Finally in Stage 3 we face a test using the classic 3DMark11 Physics benchmark. Wizerty tops the table with a score of 18,430 points, pushing his Core i7 7700K to a very healthy 6,654.78MHz with memory pushed to 1,747.4MHz (13-18-18-28). 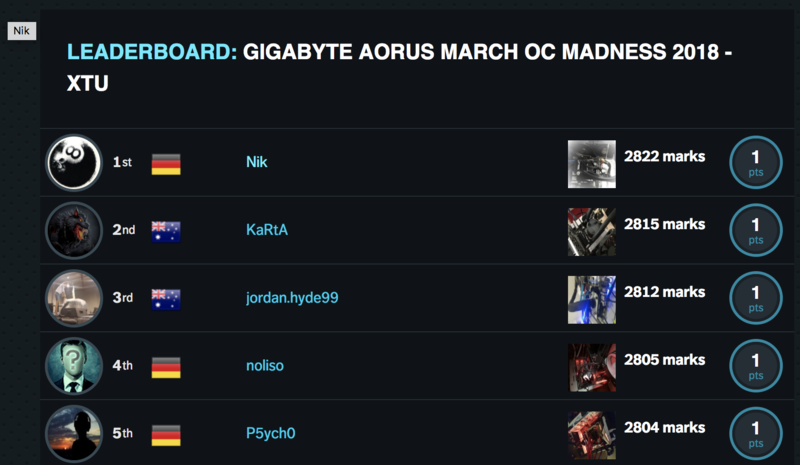 His closest rival is orion24 with 18,076 points while Dancop takes third place with 17,730 points. Check out the scoring for Stage 3 here. After three hours of furious benching Wizerty, Dancop, orion24 and Niuulh will now contest the Final segment later today. 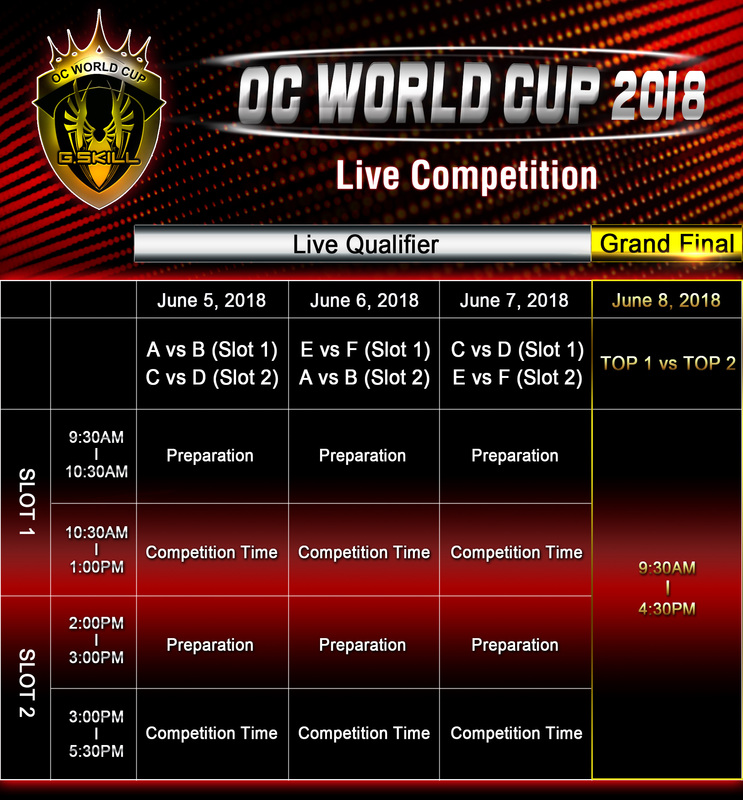 The contest will feature Semi-Finals plus a Bronze Final and a Final, all of which will use a 1v1 format where overclockers compete side by side on the main stage. It should be pretty exciting. 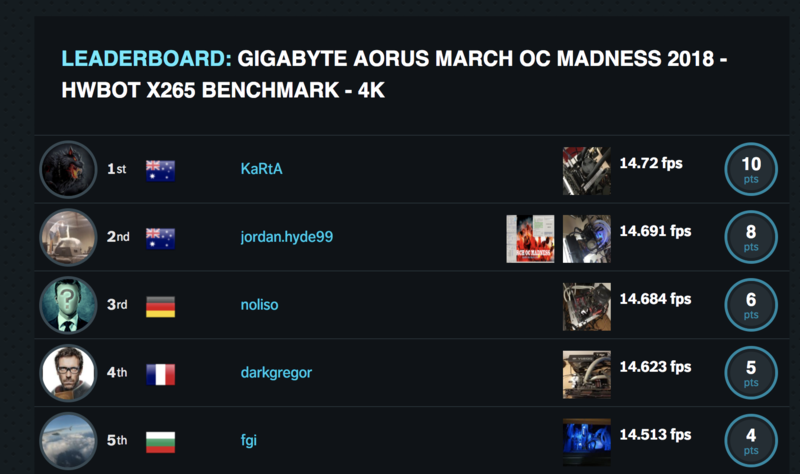 You can check out all the scores from the Qualifier segment here on OC-ESPORTS, plus a replay of all the action from yesterday thanks to the OverClocking-TV Twitch channel where you can also find tonight’s live action.